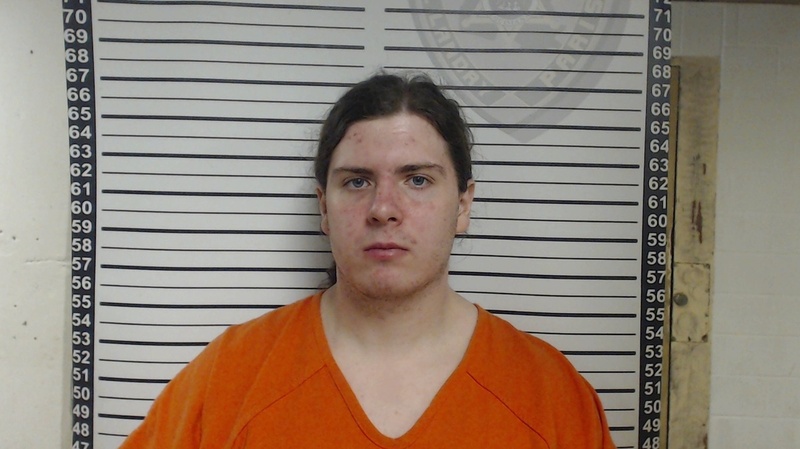 Louisiana Black Church Fires: Suspect Arrested In Connection To 3 Cases Police investigating three recent attacks on historically black churches in Louisiana have arrested Holden Matthews, 21, a white male who is the son of a St. Landry Parish sheriff's deputy. Holden Matthews, 21, has been identified and arrested in connection to the burning of three historically black churches in Louisiana. He was booked into the St. Landry Parish Jail on three counts of simple arson of a religious building. "I don't know what this young man's motive was. I don't know what was in his heart," Louisiana Gov. John Bel Edwards said at a news conference Thursday morning. "But I can say it cannot be justified or rationalized. These were evil acts." Matthews was charged with state crimes on three counts of simple arson of a religious building, said Louisiana State Fire Marshal H. "Butch" Browning. Each charge has a maximum penalty of 15 years in prison. St. Landry Parish Sheriff Bobby Guidroz told reporters that the suspect's father, Deputy Roy Matthews, "was shocked and hurt, as any father would be." The deputy knew nothing about his son's alleged activities, Guidroz said. "And when I had to call him in and we sat him down and told him what we wanted him here for, he broke down." But the elder Matthews did help authorities with his son's arrest late Wednesday, about 12 hours after investigators concluded Holden Matthews had been involved in the fires, the sheriff said. Guidroz said hours of manpower, drones and old-fashioned detective work led them to Matthews. And both physical evidence from the crime scenes and "technological evidence" confirmed him as a suspect, Browning told reporters. Authorities are still vetting several motives, but an imminent threat to public safety prompted law enforcement officials to quickly secure warrants to bring Matthews into custody. The suspect was linked to "black metal," Browning said, referring to the music genre that has previously been associated with church arson attacks in Norway and elsewhere. A social media account that appeared to be Matthews' showed images of the young man playing the electric guitar and taking selfies. The profile said that he was the lead singer and songwriter for a band called Vodka Vultures. Investigators from the Bureau of Alcohol, Tobacco, Firearms and Explosives work on Wednesday near the ruins of Mt. Pleasant Baptist Church, one of three black churches that recently burned down in Louisiana. The three black churches were burned down within a span of 10 days in St. Landry Parish. The first fire tore through St. Mary Baptist Church in Port Barre on March 26. The second burned at the Greater Union Baptist Church in Opelousas on April 2, and the third broke out at Mt. Pleasant Baptist Church in Opelousas on April 4. No one was reported injured in the fires, which started when the buildings were empty. All the churches were built in rural areas decades ago and had served generations of predominantly black families through weddings, funerals and religious services. The time and proximity of the flames led people to wonder whether the fires were linked. 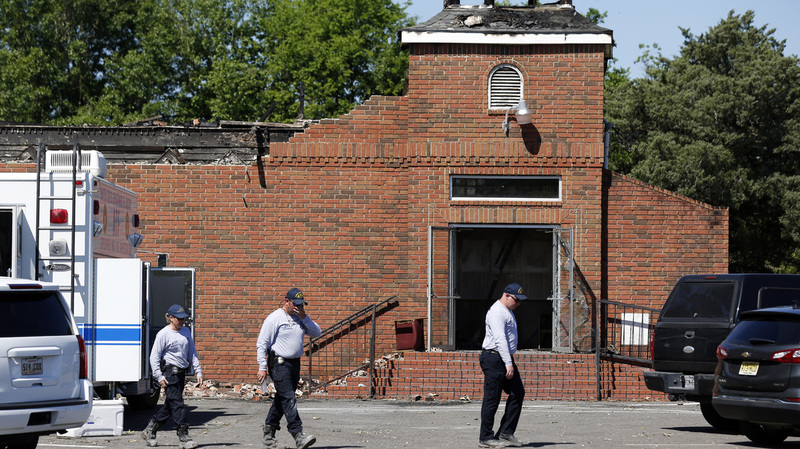 Pastors prayed that the arsons were not racist acts, part of a violent legacy for black churches in the South, which have been attacked since the civil rights movement. Heidi Beirich, who oversees the Southern Poverty Law Center's Intelligence Project and its hate map, tells NPR that the deep South still feels deep scars from its past. "The history of slavery and Jim Crow and segregation has meant race relations are more fraught than in other parts of the country." Places of worship, and the black church as an entity, have often become the targets of hate, Beirich says. New Orleans FBI Special Agent in Charge Eric Rommal said his team has been working with local law enforcement agencies to determine whether the incidents were motivated by bias. Community members have vowed to rebuild the incinerated structures and come together, saying their faith will not waver. "My husband and I drove over there along with our other family members, and along with our church family, we were on-site and we watched our church burn to the ground," she said. Authorities said the three fires are not connected to a fourth fire that occurred on March 31 at the Vivian United Pentecostal Church, a mainly white church near Shreveport.